Experimenting with urban food production on my balcony. Years ago before travelling, I tried to grow some veggies, on this very same balcony but kept having night visits from hungry possums. Since I’ve been back, I’ve seen some about but I think Mr Finch scares them off and, well, there isn’t anything for them to eat at the moment. So this time I’m ready! I’m planning on making covers to protect the plants: it might not look pretty; but it will look much better the sticks in the dirt that was once bushy basil. 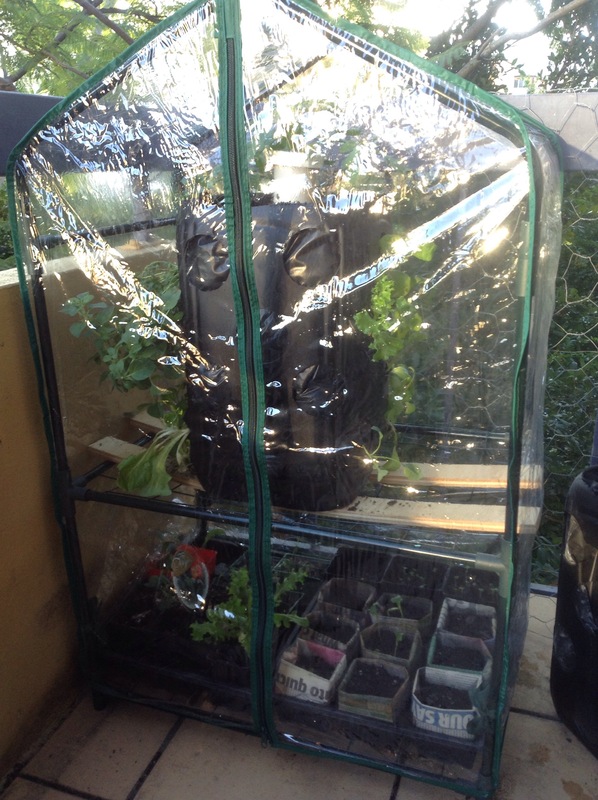 The first step I’ve taken is to invest in a little greenhouse from Bunnings. This will be useful for seedlings and shelf of greens like rocket or maybe even strawberries. At the moment, I’ve got one of the compost grow tubs in there but it’s a bit big. 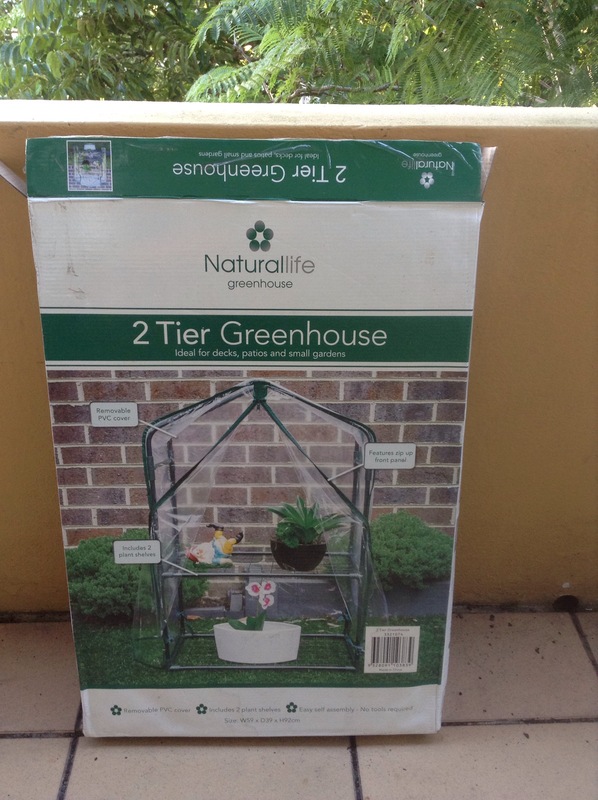 The greenhouse box from Bunnings. SWEET – I need to make a little greenhouse over our tomatoes – It has been cold and foggy much of the time since I planted them, and they are kind of stunted. I’ve got worms! | Ze… on I’ve got worms!